Happy Monday, everyone! Rainy days and autumn leaves set me on the mood for all things fall. For me that means pumpkin spice lattes, hot chocolate and lots of evenings baking at home. 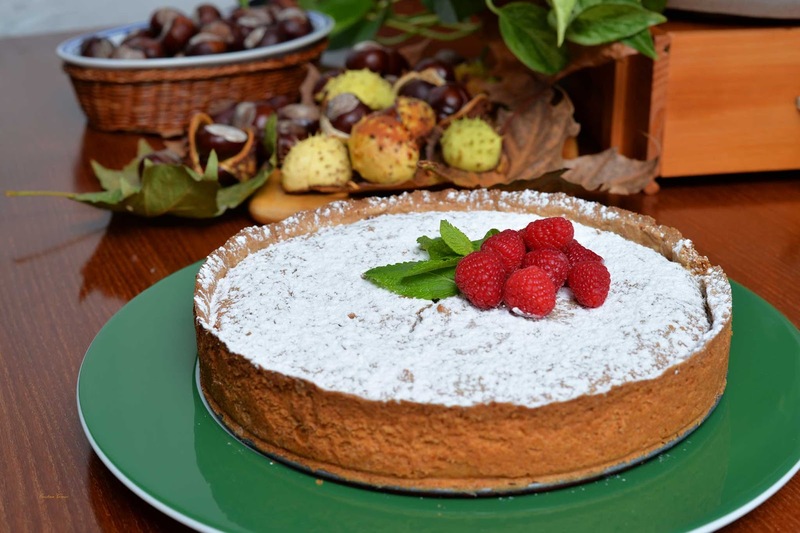 Today, I'd like to share a delicious recipe which is perfect for this season. 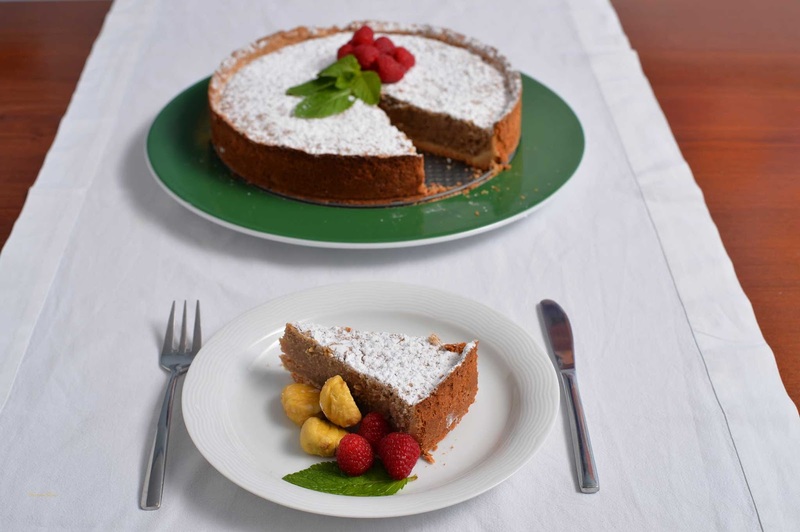 This chestnut cake is just what this weather calls for. Mix the flour, butter, powdered sugar and yolks to make the dough. Place it in the fridge for one hour. Cut an "x" on each chestnut and bake them in the oven for 10 minutes. Peel the chestnuts. 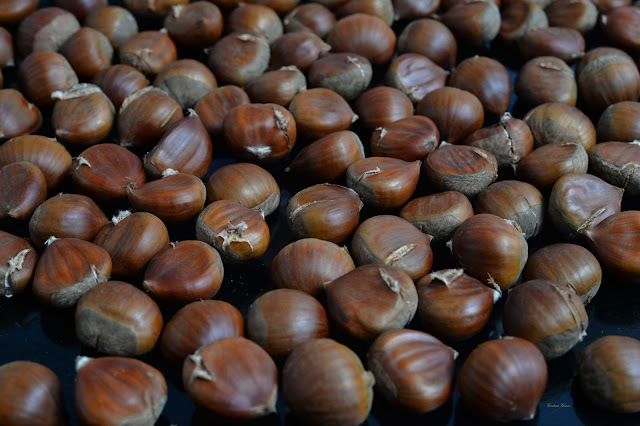 Put the chestnuts in a pot with a bit of water and boil them for 20 minutes. Whisk the butter, the sugar, the vanilla and the cinnamon. Separate the yolk from the egg whites. Mix the yolk with the previous mixture and beat the egg whites to form peaks. Strain the chestnuts and let them cool down. Then make them purée using a blender. Mix the purée with the egg whites and add to the mixture of the other ingredients. Spread the dough using a rolling pin and place it in the mold. Bake for 10 minutes. Fill it with the chestnut purée and bake for 50 minutes. Decorate it as you wish. 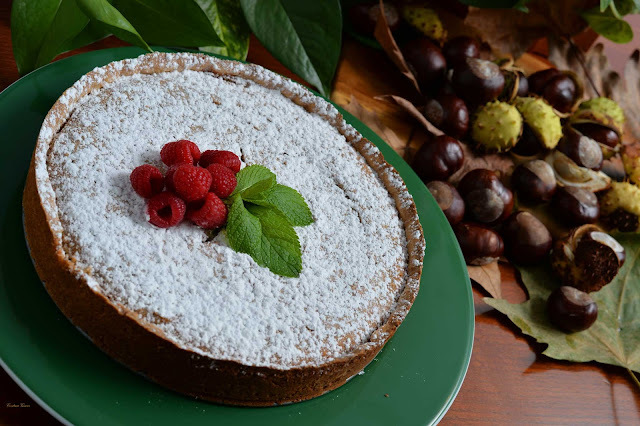 I used powdered sugar, fresh berries, mint and some leftover chestnuts. You may find the process of peeling all the chestnuts kind of tedious -my fingers felt numb afterwards- so unless you are very patient or have a lot of time to spare you may want to buy the chestnut purée and just make the short pastry from scratch. 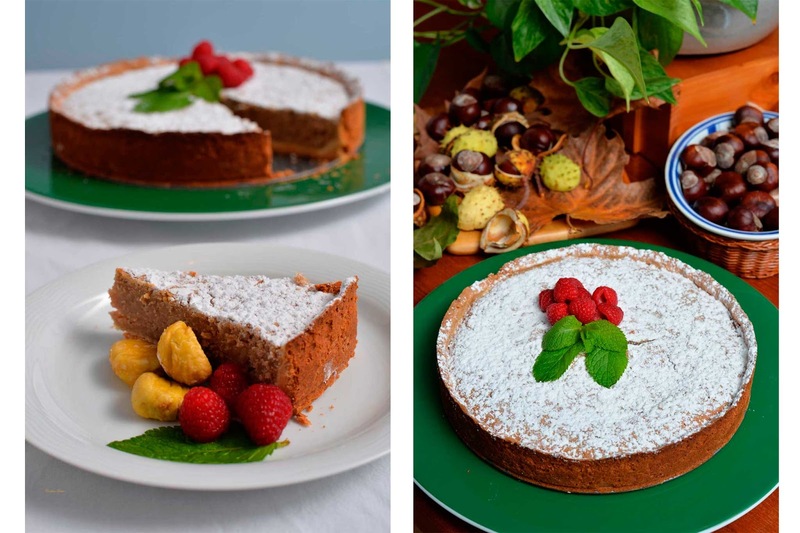 I've never tried chestnut cake before but this sounds and looks delicious! I really like your photo styling Cristina, you do an awesome job playing with the colors and textures. Love it! This look incredible so so yummy! Oh my lord. I am drooling. That looks absolutely divine! I am craving it so badly! 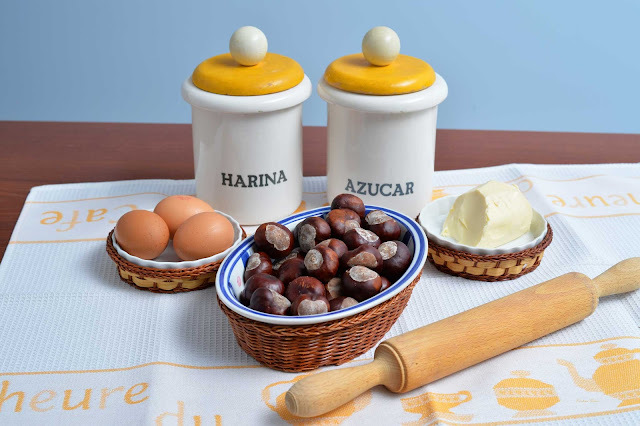 I have never tried baking with chestnuts! It looks really good though! Never tried Chestnut cake but it looks amazng compared to all of the photos and recipe! This looks amazing! 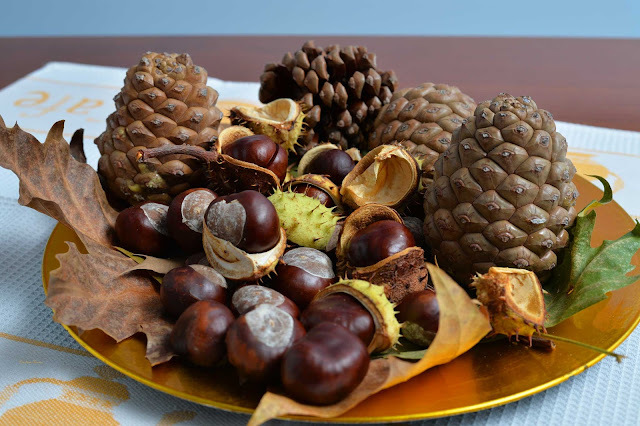 I love to peel and eat chestnuts in front of the tv in the evenings - I didn't know you can also make a cake from them. Thanks for sharing the recipe!